This report is about how you can orchestrate a global transformation that involves 7 countries and 3 continents. Presented as a story, it discloses successful and failed strategies along with learning experiences. This paper reflects the experience as Engagement Manager working with a global European bank. In that role we have been focused on multinational transformation effort The transformation scope includes seven countries. Spain, Turkey, Mexico, Venezuela, Peru, Chile, Colombia, and Argentina. As strategists, we orchestrated the different efforts within the global organization. We also aligned each regional portfolio to the global strategy. We've facilitated quarterly planning sessions and demos for groups of up to 500 employees. This effort has touched many levels of the organization. We have worked with the development teams, program managers, and portfolio teams. The transformation has been executed in collaboration with global and local executive support. UST Global started the engagement in September 2014, in the Digital Bank in Spain. The bank had been trying to reduce their time to market and deliver customer value more often. This effort geared them towards Agile and Enterprise Agility. The size of the initial engagement made clear that frameworks like Scrum were not enough. Instead they have to consider third generation frameworks and lean principles. The considerable success of the Digital Bank got the attention of other areas in the bank. Amongst those areas is the Growth Markets group. This area represents several emerging markets and is the focus of the experience Report. UST Global started working with an important financial group back in September 2014. We began this first engagement working with the Digital Bank in Spain. We spent several months working there with 5 coaches and the chief strategist. Sometime later, in January 2015, we started conversations to engage with Growth Markets. Growth Markets represented working on a huge transformation that included 7 countries. Mexico, Venezuela, Colombia, Peru, Chile, Argentina and Turkey. Our responsibility was to teach them how to apply lean and agile values and principles. These are the experiences we were having from a chronological perspective divided by quarters. This engagement is mostly focused in the team and program level. It requires identifying the right coaches in every country. These coaches need to be a combination of senior coaches and principal coaches. Senior coaches need to have very strong team level practices skills. They should be capable to train and coach the teams with no supervision. At the same time, principal coaches need to have experience in large scale transformations. They need to have worked with teams before and know how to engage at the program and portfolio. These need to have strong skills in communication and have experience interacting with executives. Finally, they need to understand how lean/agile can help fit the different pieces together. It's the governance and oversight part of the transformation in the countries. The focus of this engagement is on coordinating the different efforts. You need principal coaches or strategists for this level. The key elements to take into account are: coordination, alignment and clear direction. Moreover, this team is responsible to visit every country and make sure that coaches align. During the second quarter of 2015, we consolidated the strategic team. This is the team that would lead the transformation for the Growth markets. The team consists of a senior strategist and two strategists that would also play the role of engagement managers. During this period we leveraged social networks and recruitment companies to find the coaches. We had several difficulties finding the right coaches, especially coaches with enough experience. The reasons we found were that the coaches didn't have experience with large transformations. Probably the cause was that some countries didn't have many companies that had to go through them yet. During Q3/2015 we started the initial rollout of coaches in the countries. The order that we followed was: Venezuela, Colombia, Chile, Perú, Argentina, Mexico and Turkey. For this reason it was critical to find the right coach for Venezuela in the first place. How are we running such a big transformation? Discovery: As engagement managers, we visit each of the countries to understand what the situation is. 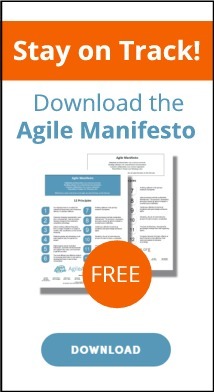 We assess their maturity level towards agile. For every person involved in the transformation we check if they are promoters or detractors. We do a risk assessment, trying to highlight the risks that we see at first sight. Then we try to analyze the different sources of demand in our demand assessment. In many cases helping make that demand explicit. We check the number of agile teams vs number of waterfall teams, etc. It is crucial to assess the state of every country and add the findings and next action items to the transformation backlog. Engagement and coaching: We try to identify who the right coaches for each country can be. Finding these coaches represents a very tough exercise, especially in some of the countries because we couldn’t find coaches that had gone through a huge transformation like this one. The enterprise coaches need to have expertise in working with executives. This way they can have the flexibility to engage at different levels. It is critical to understand the culture, the starting situation and the constraints of every country. Also, eventually, the coach needs to act as a mediator between the country (local) leaders and the global leadership. Introducing a super portfolio that provides a global strategic view: At this stage, the goal is to align the global strategy of the company with the idiosyncrasies of each country. This includes ensuring that the global transformation doesn’t consist solely on independent isolated efforts. There is a need to outline the business value proposition for the financial group. Then, determine what local projects in each country are pointing towards it and protect them. Launching of the quarterly planning events; aligning agile and traditional projects: This is about creating a regular rhythm of execution and combining it with releasing of new functionalities. Because of travelling purposes, the quarterly planning starts on a different week in every country. The goal is to have a consistent pace in the whole distributed organization. At the same time, the reality of the projects in each country is heavily traditional based. Therefore, these events include synchronizing different models of delivery. Reaching outside IT to help change the organizational culture: This stage includes the implementation of lean-agile techniques in other areas, such as process engineering, talent, and culture, compliance, regulatory, etc. It is crucial to show value to these other areas so that the digital transformation doesn’t stay only in the technology field. Before engaging the key stakeholders, we prepared beforehand. We started by having meetings with the directors of the Digital Bank in each country and other key areas. In those meetings we tried to understand what approach they were taking. How they were running projects, how often they were having funding cycles, how long did it take between the conceptualization of an idea until the effective rollout, etc. We shared this information with the executives and the support team through meetings and videoconferences. The key goal here was to understand the real needs of the country and align with the local coach. We needed this information to help them identify value and define the trainings for teams and middle management. We focused in communicating with the local coach to coordinate the exercises and trainings. Finally, we made sure that it was clear for the local executives the reasons for our visit. One of the takeaways here is that, in some cases, the executives needed to follow the directions from the group, but were not actively engaged. If that was the case, we were trying to assess what were the reasons behind that. Then make sure to address them before the visit or during the first day of the visit. During the visit, we brought the local coaches to all the meetings. This is another key takeaway. Sometimes, due to cultural reasons, the executives only want to meet the strategic team. If the coaches that are in the trenches are not involved in the strategic meetings we create discontinuity in the message. The message that the leaders communicate gets to the strategic team and is different to the message that gets to the coach. This also helps the coach to grow and gain confidence. During the first meetings, we were also helping identify a couple of teams that would relate to one product. We provided them basic training on Agile/Lean. It's always important to explain "why", what are the reasons behind the practices. When you explain "why", people adhere to the behaviors more strongly and understand the reasons more deeply. We called these Pilot teams. From that moment, the coach started working to help the teams understand the basics. What was each ceremony for, the different roles, the reasons behind the principles and the importance of the software increment. Engaging the teams is critical to achieve enough maturity for the execution. At the same time, the meetings with the executives help them lay the foundations of the Program level. The program level is not important for small companies or startups as there is no need for coordination of multiple teams. However, it is needed when you're working with products that need several teams to implement. The program level also requires new ceremonies to be put in place and new roles to play. The key roles at this level are the Product Manager and the Release Train Engineer. The Product Manager is the one responsible for the content. She is the content authority. She needs to prioritize on the different features that will be implemented by the team. She needs to coordinate with the Product Owners of the different teams and share the vision and the roadmap. The Release Train Engineer or RTE is responsible to facilitate the events at the Program Level. Events like the PI (Program Increment) planning, the Scrum of Scrums or the PI Demo. Identifying the Release Train Engineer is not needed in the first meetings. However, it's part of the coaches’ job to check for possible candidates. What is important though as part of the first visit is to coordinate with the executives. They need to understand what the different phases of the engagement are. They need to understand how to coordinate different teams and how to synchronize with other countries. Finally we agree with the Director what the next steps will be, when the next visit will take place and what is expected during that time. After having finished with the first country, we move to the next one and repeat the same meetings and commitments. Usually it would take us one full week to do this. This included meetings, trainings, etc. By September we had already launched 5 of the seven countries: Venezuela, Colombia, Peru, Chile and Argentina. The coaches were already active and synchronizing with the executives. We treated this transformation as one engagement, not a different transformation for each country. Even though we customized the work for each country, we wanted a unified approach to the transformation. That’s why we coordinated all the coach work. Because the time zones were quite similar, we established a recurring meeting with the coaches through skype. There we were talking about the different practices, how to standardize methodologies, etc. It was a very lively meeting and we could notice that we were all learning a lot from each other. A big takeaway here is that we need to make sure that the different countries efforts coordinate. We experienced different paces depending on the country. Some were having very good rhythm of delivery in the teams. Others were better aligned at the program level. Another takeaway is to ensure that each country aligns with the Governance group. The goal is to create an ecosystem where the business goals are broken down into epics. Then these epics are broken down into features. Features broken down into user stories and user stories into tasks. We experienced some cases when such connection didn't exist. In those cases, the projects were probably aligned to the country but not to the Group. Or the teams didn't understand why they had to develop certain feature. In the last quarter of 2015, the first 5 countries had already gone through their first 3 months of engagement. Here we involved the last two countries to the transformation: Mexico and Turkey. Mexico’s agile rollout was quite different than the other countries. Mexico had gone through some agile training before and they had already 30 Scrum teams. One of the goals was to double the number of scrum teams because it was adding value for them. In this sense, the meetings, the trainings and the number of coaches were significantly different from elsewhere. For Mexico, the first training that we conducted had 300 attendees, only among managers and executives. We were doing more than 30 interviews to the different support areas. We incorporated 7 coaches to run the engagement. The ratio that we found adequate for coaches is to have one coach per 2-3 teams. Here we were having one coach per 5-6 teams. A key takeaway here is how to set the right goals for the transformation. It is very important to have enough teams to implement the products. At the same time, having a metric like "How many scrum teams does the country have?" is misleading. What we experienced was that there was a very high interest in managers to create Scrum teams. It was important to identify the team, their Scrum Master and their Product Owner. Unfortunately there weren't enough coaches to train all these people to the new concepts. At the same time, due to a lack of guidance, the teams started to make assumptions on how to do agile on their own. If they didn’t understand a particular practice, they’d take it out. If they thought there was a need for more control, they were adding it, making it difficult to coordinate. Teams with training who were starting their first sprints. Teams who were doing ceremonies with some assistance. Teams who were sprinting and delivering value. Unfortunately, all the teams were in the first two columns. During the first quarter of 2016 we started the quarterly planning events. A quarterly planning event or Program Increment (PI) event is a recurring event that repeats every 3 months approximately. The participants for this event include all the teams related to a particular portfolio. It includes all the coordinating roles and portfolio responsibilities. Typically, it should be between 50 and 125 people. In Mexico we had 350 in the first event. The PI event tries to align all parties involved into a clear scope. This two-day event tries to identify the dependencies between the teams and prioritize the features. To run this event, we had to meet in a hotel ballroom. There weren't any auditoriums big enough in the customer premises. We brought everything we needed: Post-its, sharpies, flipcharts, scotch tape... And from all the resources we used, the one that ended up being scarcer was: The wall! Having 35 teams with two or three flipchart sheets per team ended up being too much for the walls of the ballroom. We also prepared what's called a Program Board. This is a two-dimensional matrix board. In the columns you have all the teams and support areas that take part in the event. In the rows you have all the sprints that conform the Program Increment. By default, SAFe suggests 5 two-week sprints. After the event finishes, all the teams take their flipcharts with them and put them in their workplace. Every flipchart contains the features the team committed to work on, the dependencies with other areas and risks identified. Separate from this, the teams break down these features into stories. These are the stories that they'll work as part of the sprint planning event. The event that we launched in Mexico was very different from the others, both from the complexity and size perspective. During this quarter, we were able to launch it in all the other countries as well. Because it was the first time that the countries experienced the event, we had to launch it country by country. In the future, this will be a global coordinated event that will set the beat for the organization. For this, we'll need to create a higher level of coordination, the super-portfolio. During Q2/2016 we continued with the PI planning events in all the countries. The number of teams was increasing and we had to decide how to split these events. In Mexico we had 530 people. We even had to buy T-shirts from different colors to distinguish. We also had our first PI Demo events, what we called Demo Parties. This is the corresponding event for Sprint Demo at the Program Level. During this event, every Program shows what they've implemented. All the teams that conform a program have previously worked in an integrated solution. It takes place some days before the next PI Planning event. This event is a very important one, as it is what really shows the measure of progress. During this Quarter, we also started working on the Governance for the countries. The oversight group needed to understand what the progress for each country was and what sort of help they needed. It’s tricky to know what to measure and why for a transformation. There's a high risk to measure the progress of the transformation in number of Scrum teams. Or to measure, and align compensation packages to it, by how many features a team committed and delivered. Here's where there's a big mentality shift. It requires a change of mindset. Peter Drucker came up with the concept of "knowledge workers": Those who after a couple of years working in a position knew more than the people that supervised them. Any attempt to try to measure them in terms of productivity or comparison between teams will be in vain. The reason is that they'll spend their time thinking how to trick the metric. Paraphrasing Goldratt: "Tell me how you measure me and I'll tell you how I will behave. If you measure me in an illogical way... do not complain about illogical behavior." As of time of writing this paper, we’re working on defining the metrics for the knowledge workers and aligning the career paths and compensation packages to them. To achieve this we started engaging with the Talent and Culture department. As George Box said: “All models are wrong. Some are useful”. We found that the scaling framework that we were using (SAFe) also had some unknowns when it came to a transformation of this magnitude. We had a very clear picture of how the pieces should connect but not the path on how to get there. Therefore, we couldn’t play the role of evangelists that simply explain how things should work. We needed to adapt to the situation and flow with it. We thought it all had to do with implementing Lean and Agile practices in the IT group. Soon we realized that we have to reach deeper into the organization to work with other groups that had an impact on the success of the transformation. This included the Talent and Culture group and their policies around bonuses and career plans for the recently appointed Scrum Masters and Product Owners. Even though the organization is committed to the agile transformation across all groups, we still had to develop a transformation roadmap that accounted for the fact that several core groups will continue to use traditional methodologies in the mid to long term. One of the hardest parts of the transformation is to get buy-in from many support functions so that they are willing to develop new processes and approaches that support lean and agile practices across the enterprise. I’d like to thank the Agile Practice of UST Global for allowing me to have such a wonderful experience. Having worked with Ramon Davila has been a pleasure and I want to thank him for everything he’s been doing in the transformation. Also, learning next to Alan Goerner and Deb Davenport, our agile experts, is a wonderful experience. I also feel very grateful to work with Saket Bivalkar, the new practice Director for LATAM, from whom we have very high expectations given his background and knowledge. And more important than anything, the coaches, the powerful team in America, Europe and Asia. We’re part of a wonderful team that’s constantly striving to execute the transformation at all levels. You guys are amazing! Finally, I’d like to thank this financial group for trusting us. We couldn’t have learned any of this complexity if we hadn’t had the chance to work there. Thank you everybody for these amazing 16 months of learning. My final words are dedicated to my wife. Since this engagement started I’ve spent 46 weeks travelling around the world and being dedicated to my passion also means spending less time with her. Hopefully we can recover some of that time during our holidays. I love you my princess.